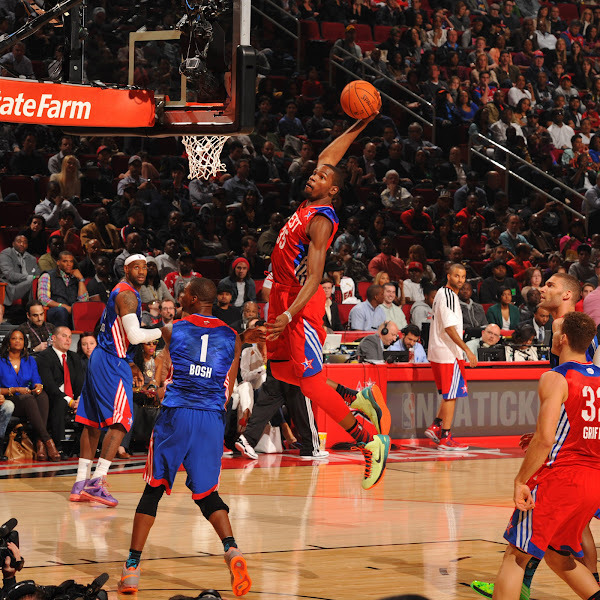 Kevin Durant #35 of the Western Conference All-Stars goes up for a dunk against Chris Bosh #1 of the Eastern Conference All-Stars during 2013 NBA All-Star Game on February 17, 2013 at the Toyota Center in Houston, Texas. 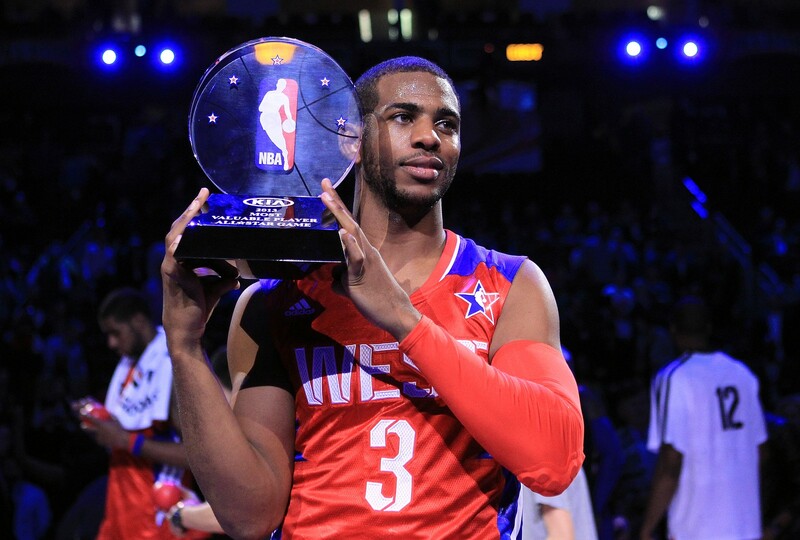 Chris Paul #3 of the Los Angeles Clippers and the Western Conference celebrates after winning MVP in the 2013 NBA All-Star game at the Toyota Center on February 17, 2013 in Houston, Texas. 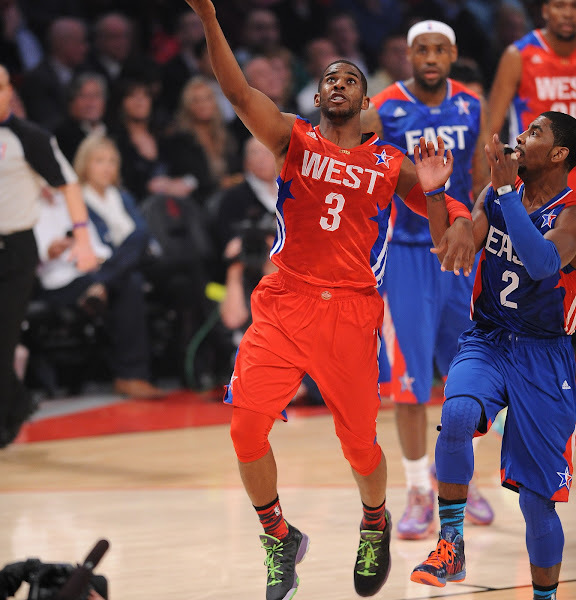 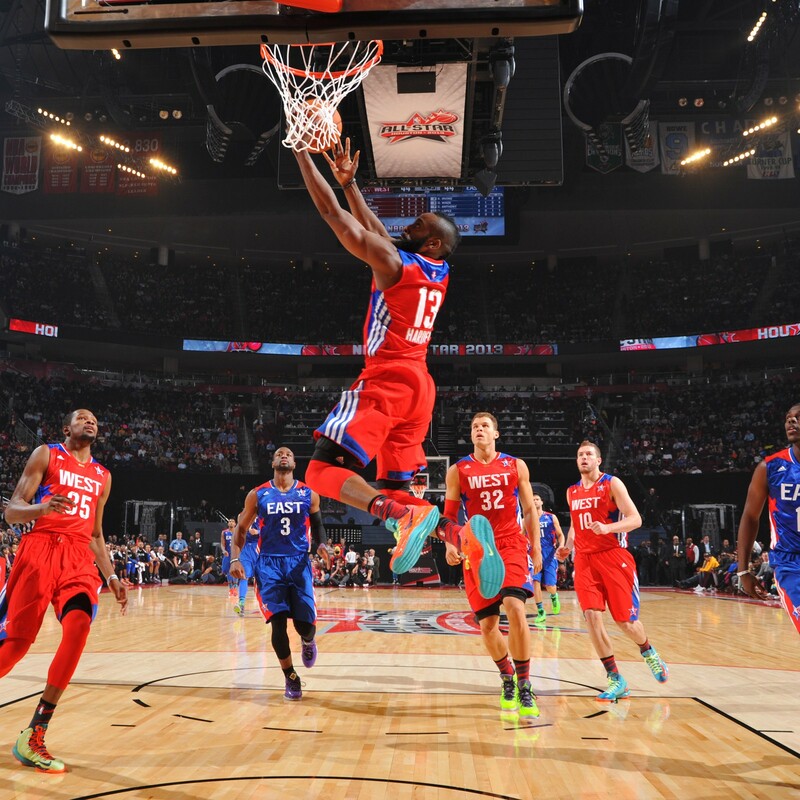 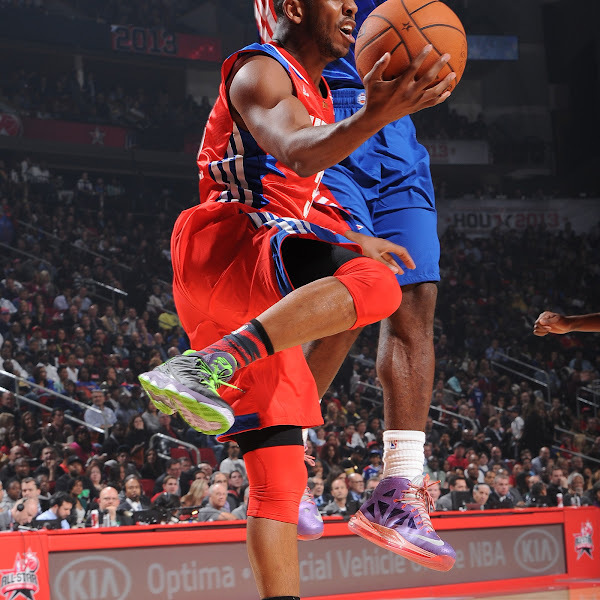 Chris Paul #3 of the Western Conference All-Stars shoots a layup against the Eastern Conference All-Stars during the 2013 NBA All-Star Game presented by Kia on February 17, 2013 at the Toyota Center in Houston, Texas. 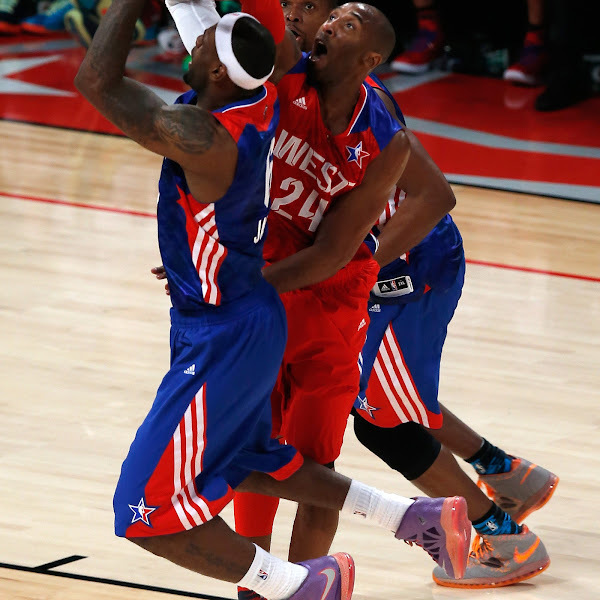 Kobe Bryant #24 of the Los Angeles Lakers and the Western Conference blocks the shot of LeBron James #6 of the Miami Heat and the Eastern Conference during the 2013 NBA All-Star game at the Toyota Center on February 17, 2013 in Houston, Texas. 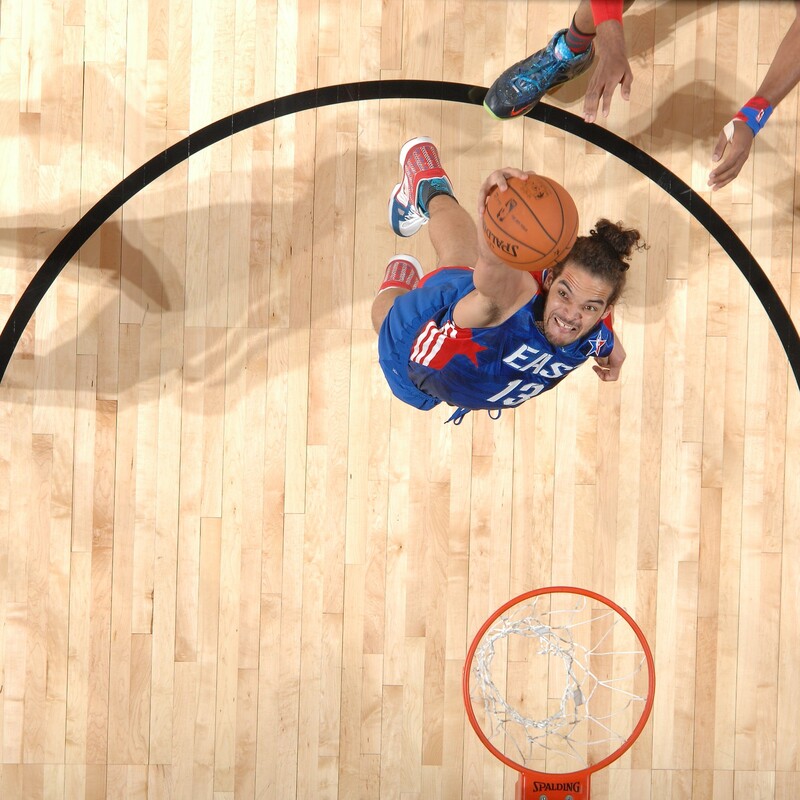 Joakim Noah #13 of the Eastern Conference All-Stars attempts a dunk during the 2013 NBA All-Star Game on February 17, 2013 at Toyota Center in Houston, Texas.
. LeBron James #6 of the Eastern Conference All-Star Team during 2013 NBA All-Star Game on February 17, 2013 at the Toyota Center in Houston, Texas. 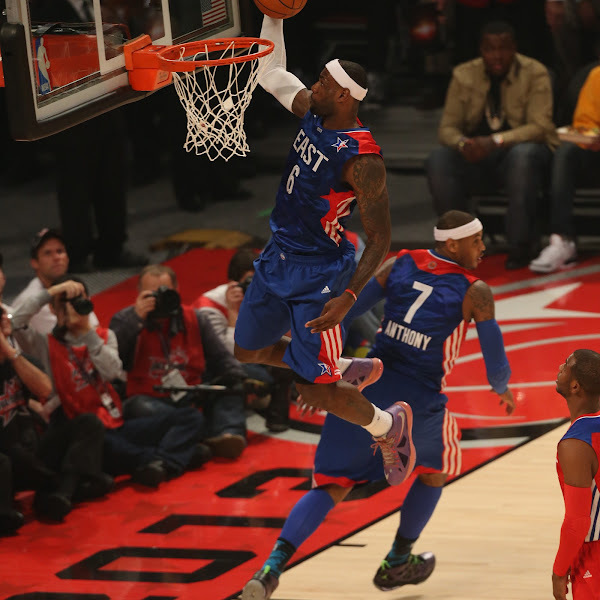 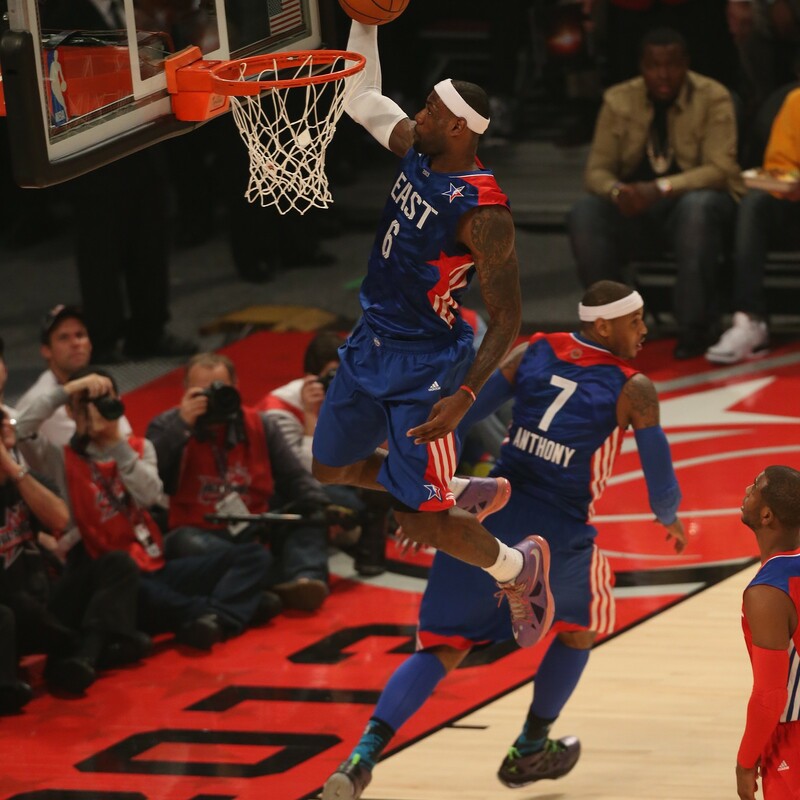 Carmelo Anthony #7 of the Eastern Conference All-Star Team dunks during 2013 NBA All-Star Game on February 17, 2013 at the Toyota Center in Houston, Texas. 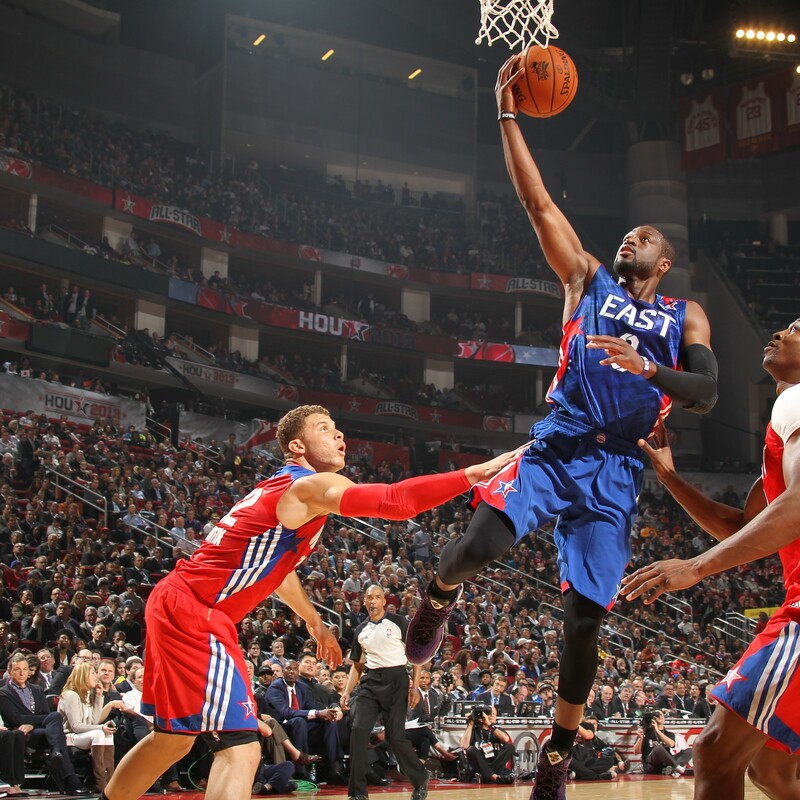 Dwayne Wade #3 of the Eastern Conference All-Star Team shoots over Blake Griffin #32 of the Western Conference All-Star Team during 2013 NBA All-Star Game on February 17, 2013 at the Toyota Center in Houston, Texas. 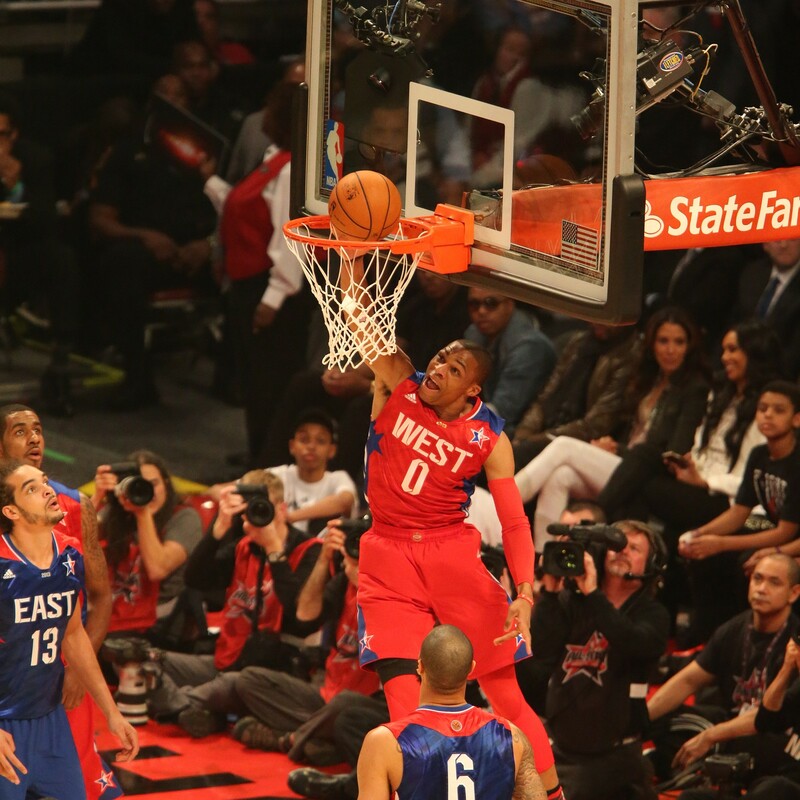 Russell Westbrook #0 of the Western Conference All-Stars goes up for the dunk against the Eastern Conference All-Stars during 2013 NBA All-Star Game on February 17, 2013 at Toyota Center in Houston, Texas. 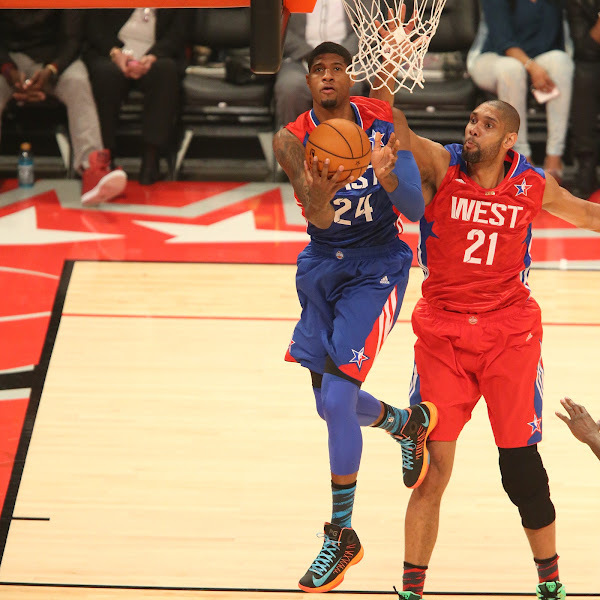 Paul George #24 of the Eastern Conference All-Stars goes up for the reverse layup against Tim Duncan #21 of the Western Conference All-Stars during 2013 NBA All-Star Game on February 17, 2013 at Toyota Center in Houston, Texas. 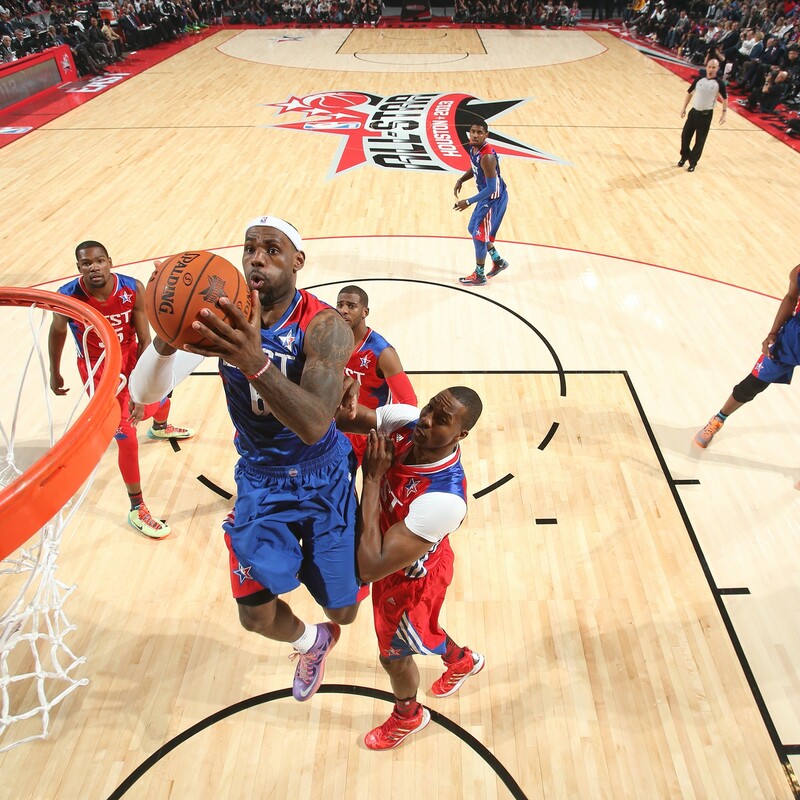 LeBron James #6 of the Eastern Conference All-Stars shoots during the 2013 NBA All-Star Game during All Star Weekend on February 17, 2013 at the Toyota Center in Houston, Texas. 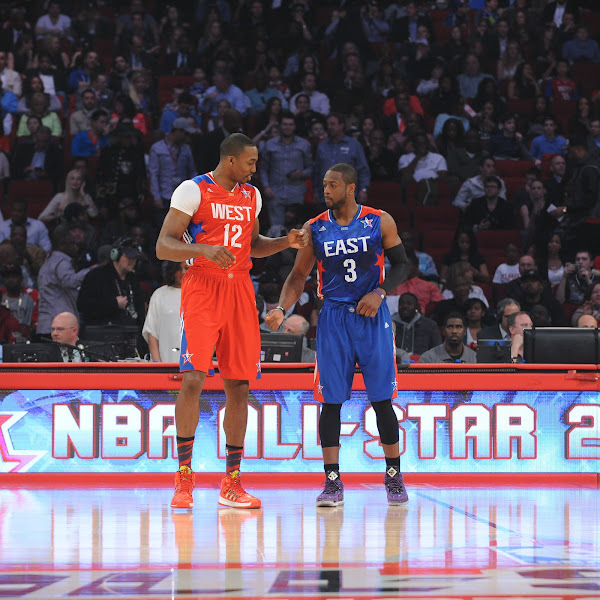 Dwyane Wade #3 of the Eastern Conference All-Stars and Dwight Howard #12 of the Western Conference All-Stars during the 2013 NBA All-Star Game presented by Kia on February 17, 2013 at the Toyota Center in Houston, Texas. Kobe Bryant #24 of the Los Angeles Lakers and the Western Conference goes up for a shot against Kevin Garnett #5 of the Boston Celtics and the Eastern Conference in the first quarter during the 2013 NBA All-Star game at the Toyota Center on February 17, 2013 in Houston, Texas. Chris Paul #3 of the Western Conference All-Stars attempts a pass during the 2013 NBA All-Star Game on February 17, 2013 at Toyota Center in Houston, Texas. 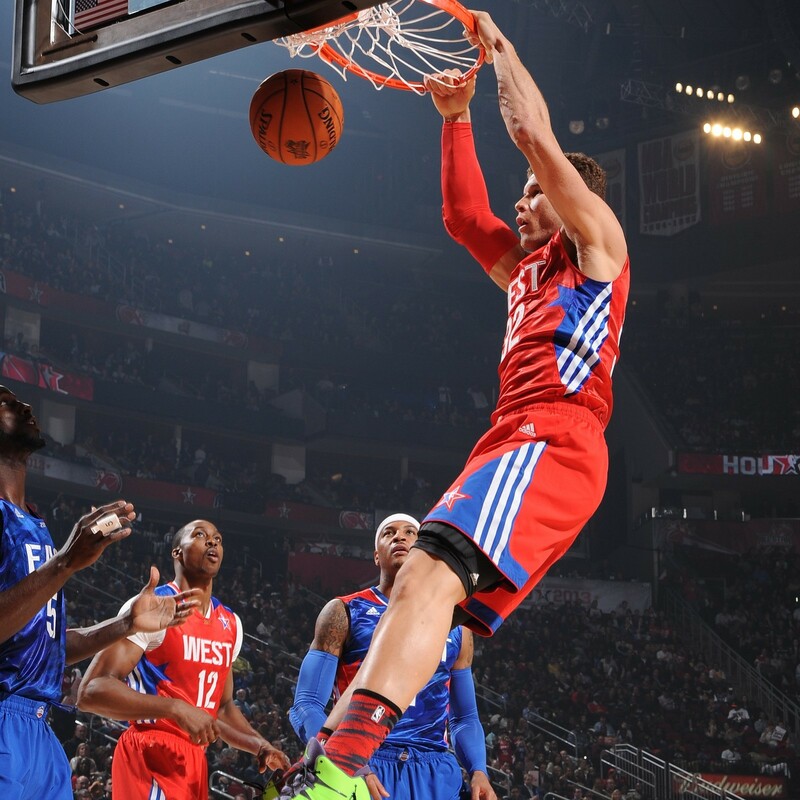 Blake Griffin #32 of the Western Conference All-Stars dunks during the 2013 NBA All-Star Game on February 17, 2013 at Toyota Center in Houston, Texas. 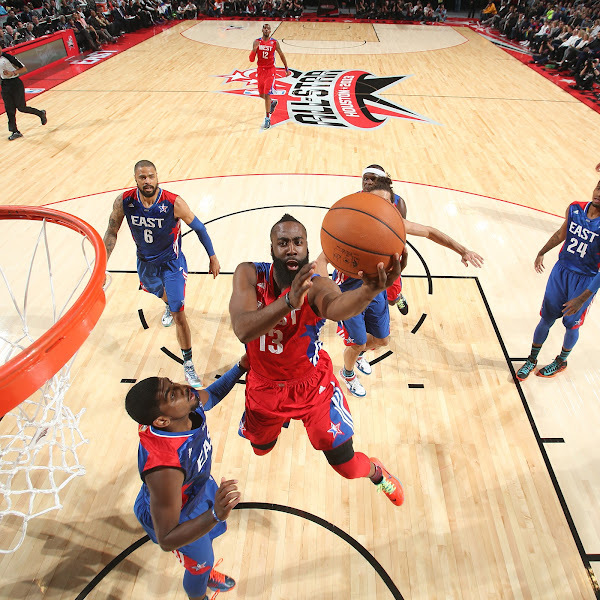 James Harden #13 of the Western Conference All-Star Team shoots over Kyrie Irving #2 of the Eastern Conference All-Star Team during 2013 NBA All-Star Game on February 17, 2013 at the Toyota Center in Houston, Texas. 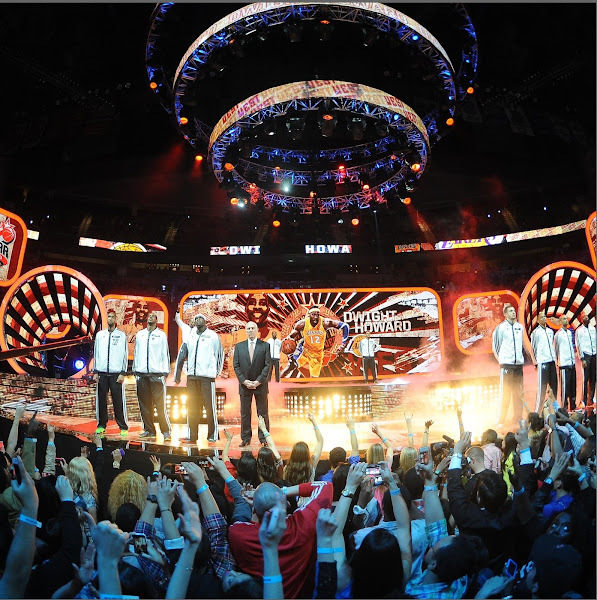 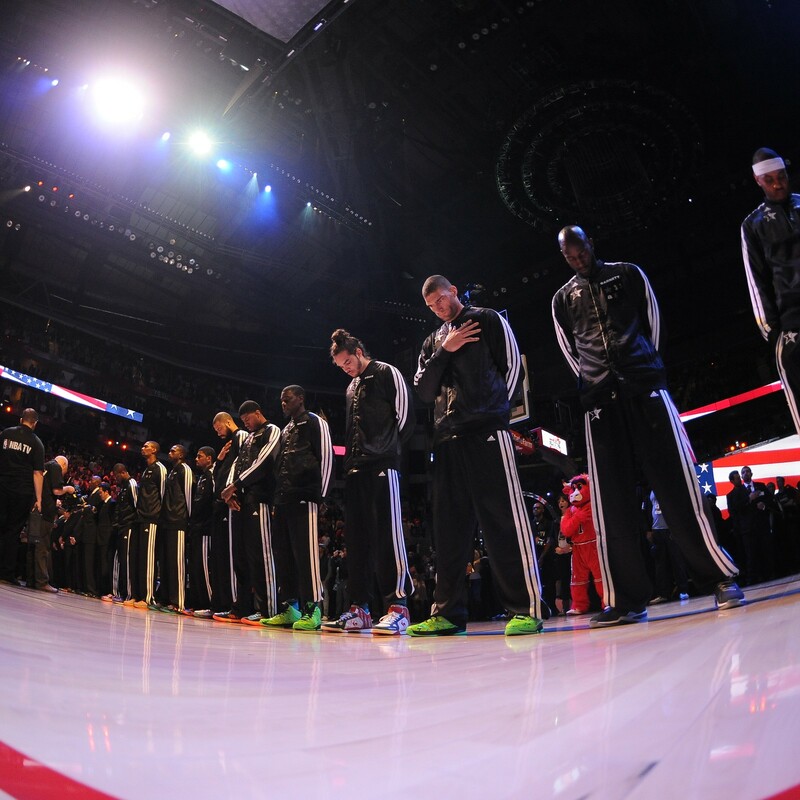 The Eastern Conference All-Stars stand during the national anthem during the 2013 NBA All-Star Game presented by Kia on February 17, 2013 at the Toyota Center in Houston, Texas. 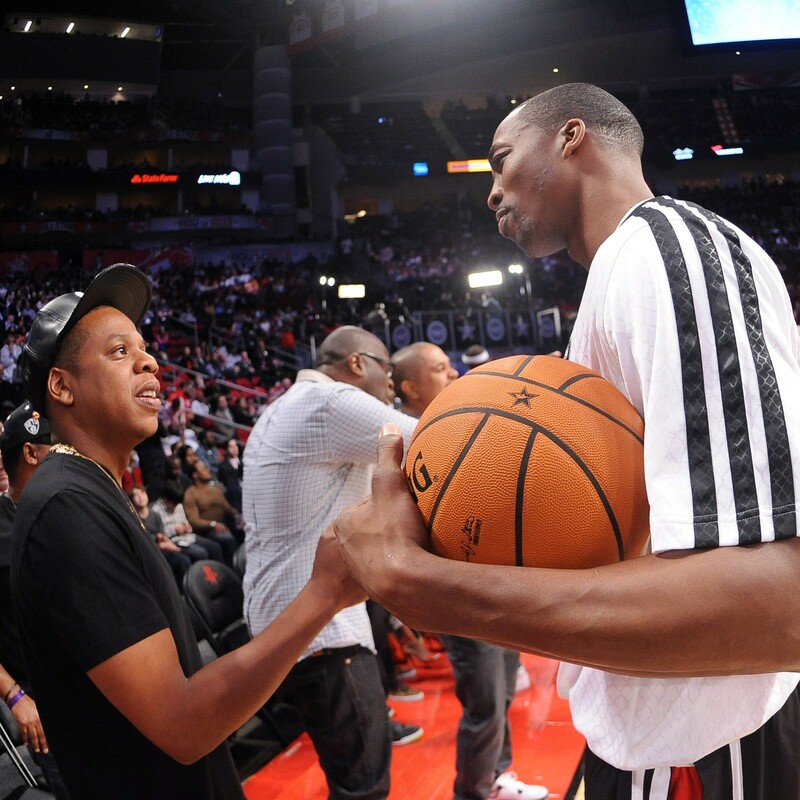 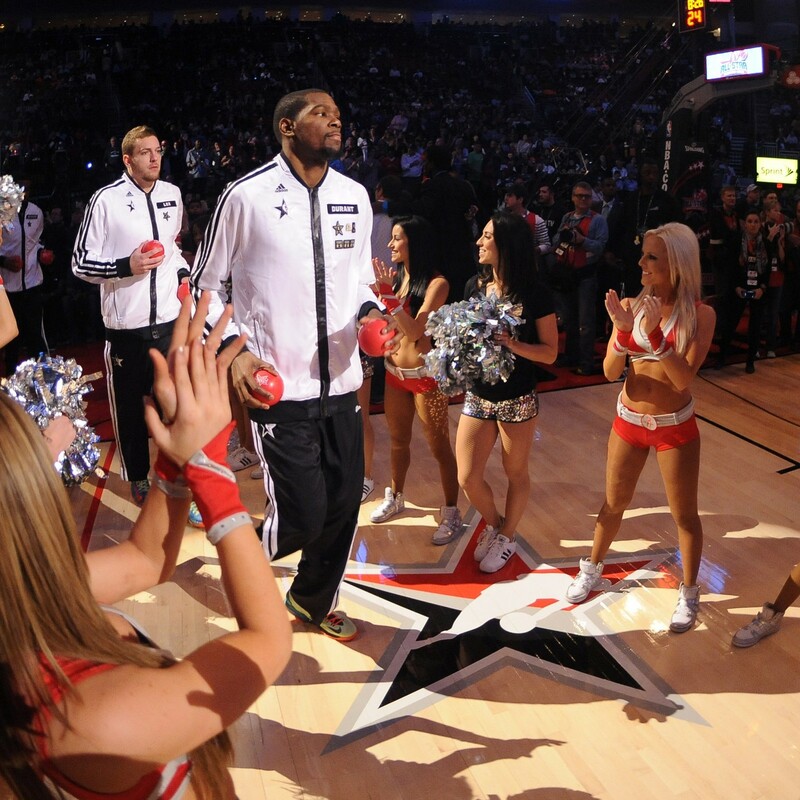 Kevin Durant #35 of the Western Conference All-Stars is introduced during the 2013 NBA All-Star Game presented by Kia on February 17, 2013 at the Toyota Center in Houston, Texas. 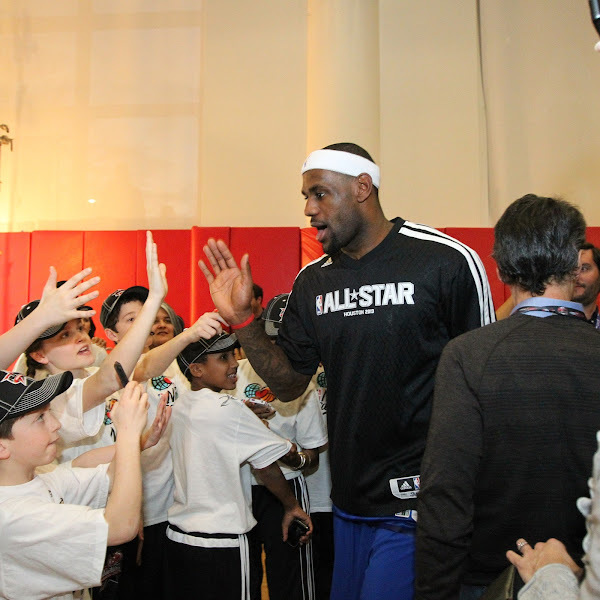 LeBron James #6 of the Eastern Conference All-Stars high fives fans before the 2013 NBA All-Star Game on February 17, 2013 at Toyota Center in Houston, Texas. 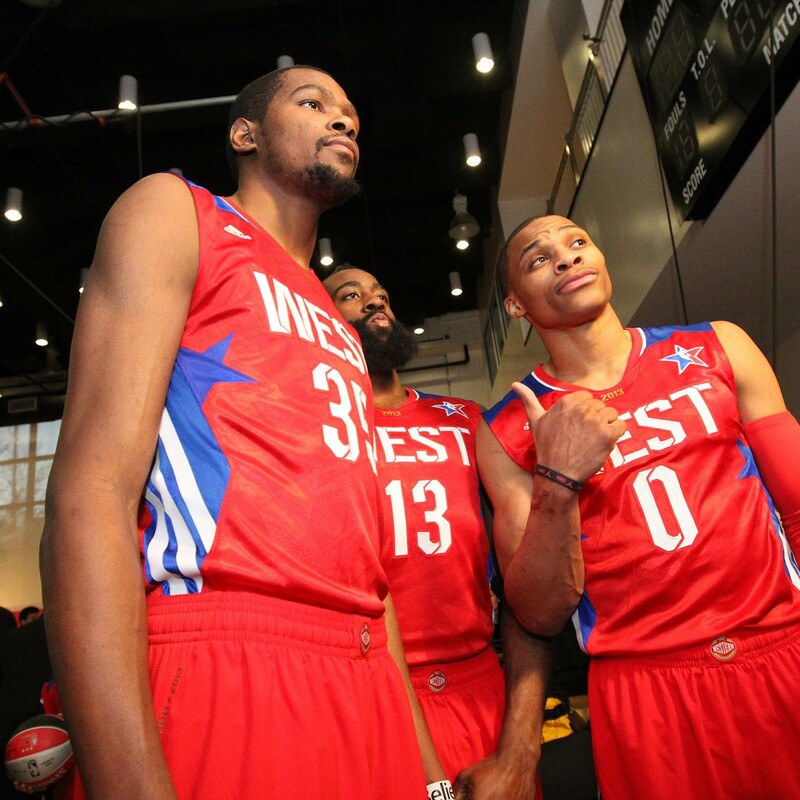 Kevin Durant #35, James Harden #13, and Russell Westbrook #0 of the Western Conference All-Stars take a photo before the 2013 NBA All-Star Game on February 17, 2013 at Toyota Center in Houston, Texas. 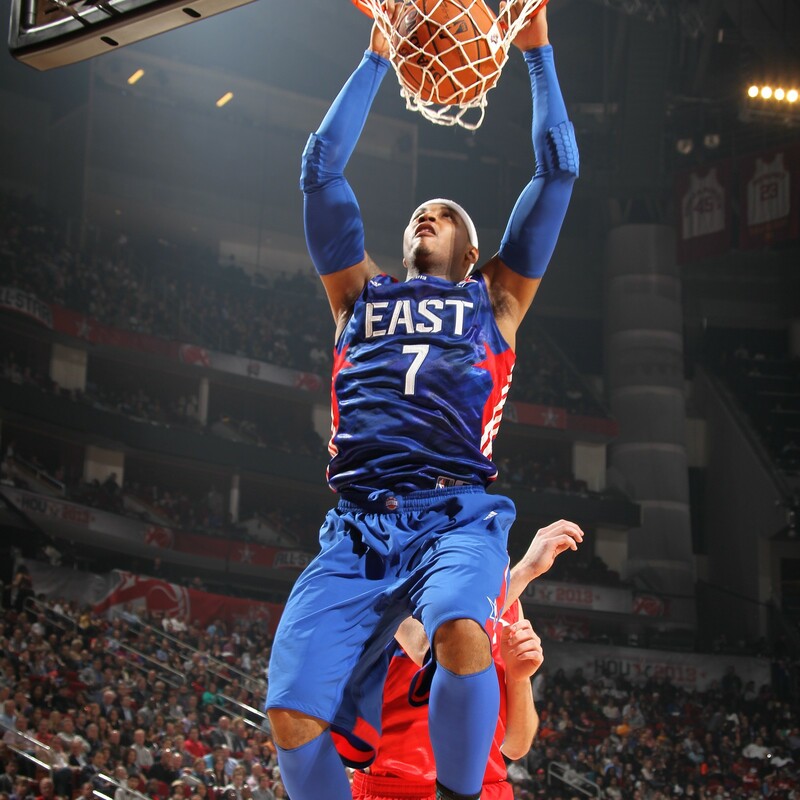 Tyson Chandler #6 of the Eastern Conference All-Star Team before the 2013 NBA All-Star Game on February 17, 2013 at the Toyota Center in Houston, Texas. Texas. 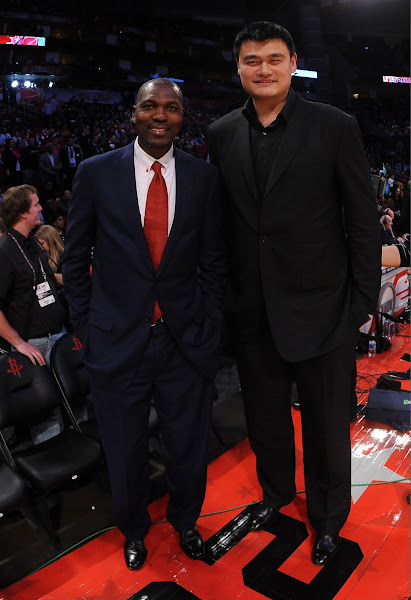 NBA Legends Hakeem Olajuwon and Yao Ming stand courtside during the 2013 NBA All-Star Game presented by Kia on February 17, 2013 at the Toyota Center in Houston, Texas. 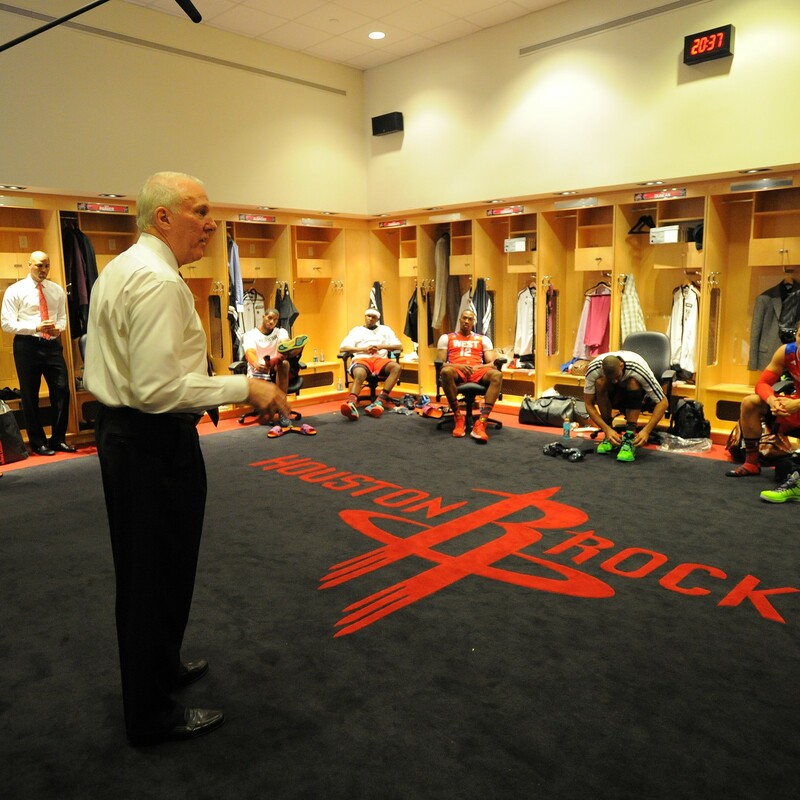 Head Coach Greg Popvich of the Western Conference All-Stars speaks to his team prior to the 2013 NBA All-Star Game on February 17, 2013 at Toyota Center in Houston, Texas. 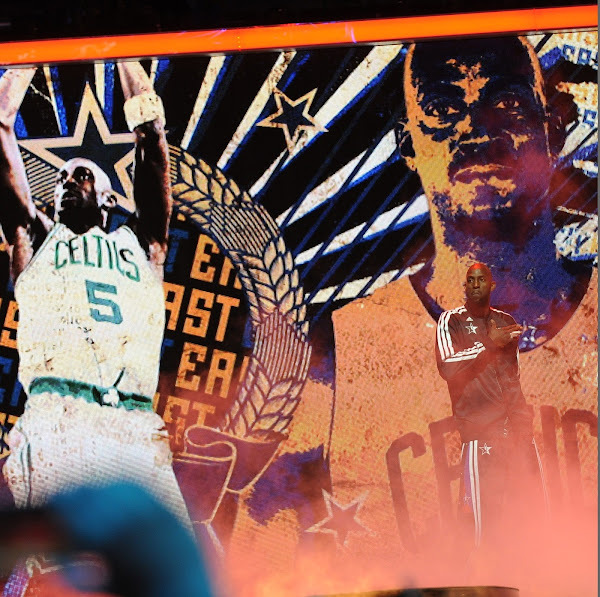 Kevin Garnett #5 of the Eastern Conference All-Stars is introduced during the 2013 NBA All-Star Game presented by Kia on February 17, 2013 at the Toyota Center in Houston, Texas. 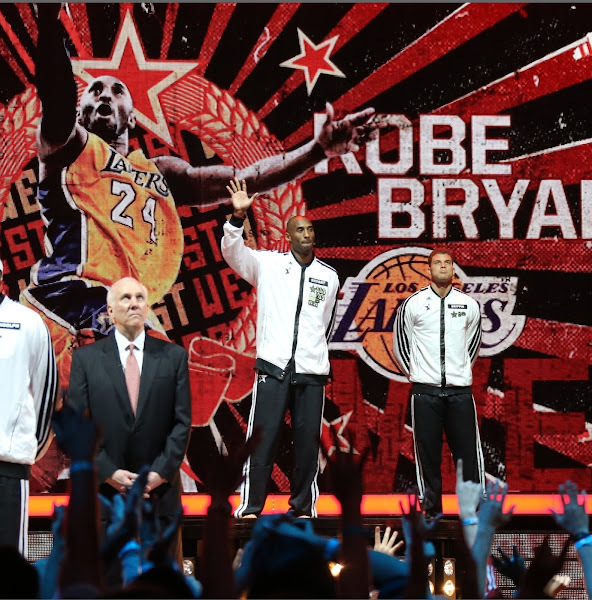 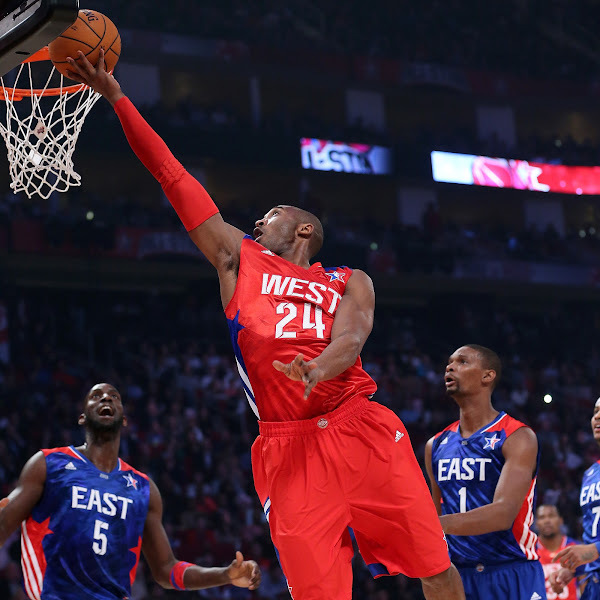 Kobe Bryant #24 of the Western Conference All-Star Team before the 2013 NBA All-Star Game on February 17, 2013 at the Toyota Center in Houston, Texas. 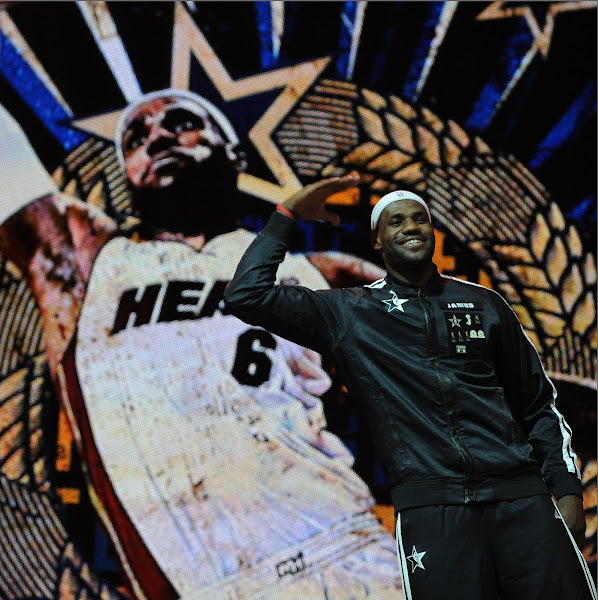 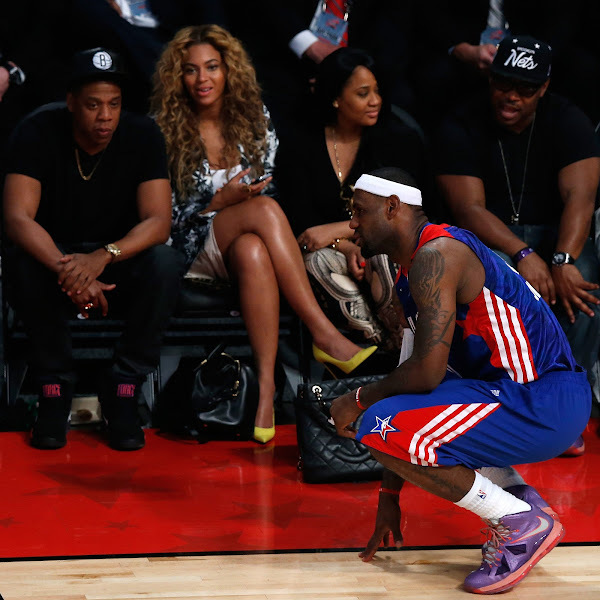 LeBron James #6 of the Eastern Conference All-Stars is introduced during the 2013 NBA All-Star Game presented by Kia on February 17, 2013 at the Toyota Center in Houston, Texas. Dwight Howard #12 of the Western Conference All-Stars is introduce during the 2013 NBA All-Star Game presented by Kia on February 17, 2013 at the Toyota Center in Houston, Texas.